If you’re looking to learn or improve iOS 8 app development skills, the today’s featured iPad Insight deal might be a very good fit. 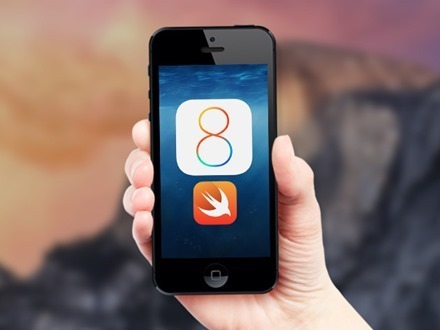 It’s The Complete iOS 8 + Swift Developers Course (Pre-Order) – which offers the opportunity to build 14 iOS 8 Apps Using Xcode 6 & Apple’s New Programming Language – 36+ Hours of Elite Training. And it’s available right now at 92% off – at just $79 instead of its standard price of $998. Once released, this iOS 8 Bootcamp teaches you the tools needed to develop iPhone and iPad applications for iOS 8. You’ll learn the syntax of Swift, the language used to develop for iOS, as well as important design patterns and best practices. By the conclusion of the course, you’ll have an understanding of, and the ability to recreate many popular iOS app features in apps of your own. And it’s the ultimate learning by doing experience: build 14 apps during the course, with the final app being a full featured dating app: A Tinder Clone. The release of iOS 8 is right around the corner, don’t you want to be ready? If you want to create a new app for Apple’s latest mobile platform as soon as it’s released this fall, this is the course to get you there. Please Note: Due to an Apple NDA, you will not receive full access to this iOS 8 course until Apple releases iOS 8 to the public. Bitfountain will release this course to all purchasers as soon as iOS 8 is available to the general public in August/September. Check out all the details and place an order at this iPad Insight Deals page. Today’s featured deal is a great-looking one for anyone looking to develop or hone their web design skills. 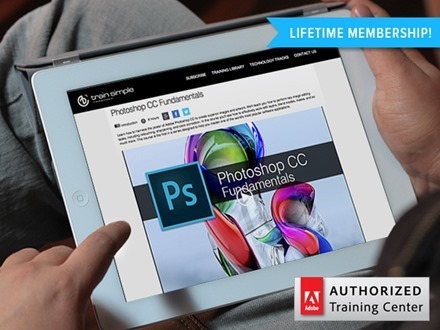 On offer is lifetime access to a huge library of over 5,000 Adobe training videos – at just $79, 84% its standard $500 price. An invaluable resource for web and graphic designers, these award-winning Adobetraining courses cover a wide variety of topics to get you up and running with unfamiliar software or in a new programming language. Membership provides full access to all training courses on the site, complete with exercise files and certificates. Each video is professionally produced, edited, and backed by Adobe systems, so you’re getting the best instruction there is. With full lifetime access to over 5000 video courses, you’ll brush up on what Adobe and other Web Design elements have to offer. Gain advanced knowledge by covering every corner of the Adobe product suite. To see more details or place an order, visit this iPad Insight Deals page. Today’s featured iPad Insight Deal is a great looking always-with-you charging accessory for the iPhone 5/5s/5c & Lighting iPad & iPad Mini. 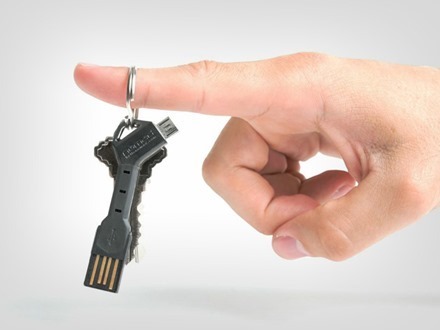 It’s the ChargeKey, it fits on a key ring , and it’s on offer at 13% off and a price of $24.99. ChargeKey is your iPhone lightning cable, just downsized to fit on your keyring. Its minimal design is perfect for always having a charging/sync cable on hand. Use ChargeKey to charge from any USB port, it even works for your iPad and iPad Mini, as long as you have a lightning compatible device, you can charge from any USB port. We love products like ChargeKey because they fix a common problem. Bringing around your tangled mess of cords is annoying. You carry your keys everywhere anyway, why not always have a charging cable as well? The best type of charging cable is the one always you have on you. So stay prepared and leave that tangled mess behind. You can see more details and place an order at this iPad Insight Deals page. The featured offer at iPad Insight Deals today – The Ultimate iPad Keyboard Bundle. It’s an iPad keyboard, stylus and screen protector on offer at 43% off – for $39. The Bluetooth iPad Keyboard Case is light, fast and built to give quick access to information. The case is made with an anodized finish matching the design, look and feel of your iPad while also giving it quality protection from the elements. This Bluetooth Case also comes with a high quality stylus and screen protector so you can keep your iPad scratch free and in tip top shape during your travels. The anodized stylus adds accuracy and precision alongside your upgraded typing experience, allowing you to point and touch, never missing a button or action. 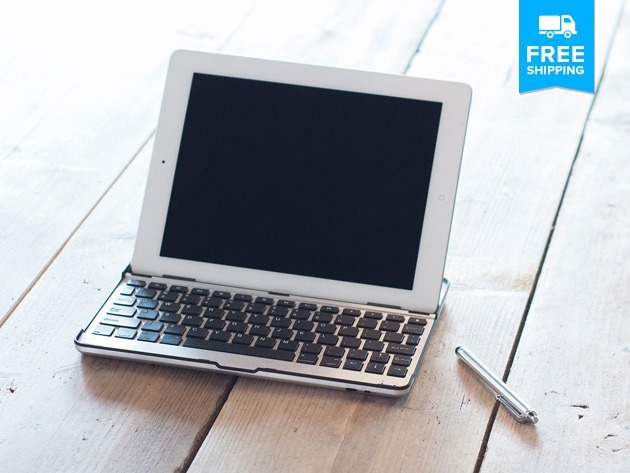 The iPad Keyboard Case allows you to convert your iPad into a laptop like position for faster, more comfortable typing. It also allows for tablet use by folding its hinge, hiding the Bluetooth keyboard out of sight. This iPad aluminum case provides 2 viewing angles in both portrait and landscape modes while assuring full protection for the iPad screen. This case gives you the typing your desire and the protection you need. You can see lots more detail and place an order at this iPad Insight Deals page. Today’’s featured iPad Insight deal is the Universal Car Mount: Drive Hands Free w/ A 360° Adjustable Fit. It’s available now at 51% off – for $14 rather than its standard price of $29. We’re all guilty of it, the “cellphone-in-the-lap” move while driving, whether we’re reading directions, sending a text, or talking on speakerphone. 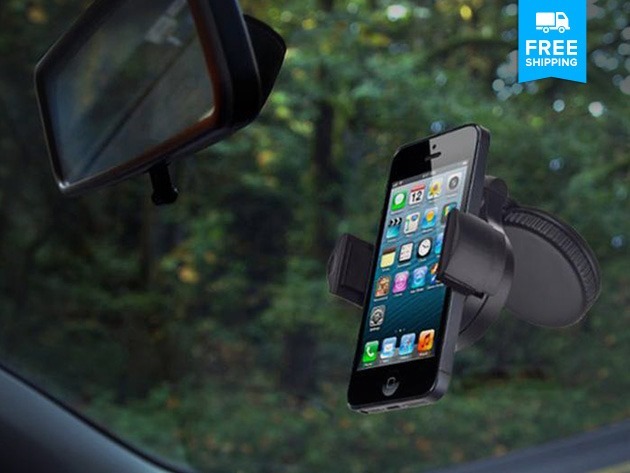 Avoid the temptation with the Universal Car Mount – the perfect accessory for any car owner. It easily adheres to your car’s windshield so your phone is prominently displayed in your line of sight while driving, and the mount can rotate 360 degrees to face all passengers, either in the front seat or in the back of the vehicle. Dial your phone, talk, and hang up without ever moving your hands away from the steering wheel. Not only is it unsafe to hold your phone while driving, it’s also now illegal in most states. Don’t give the police any reason to pull you over, navigate and talk without taking your attention away from the road. Plus, installation is a snap and the fit is universal (duh) so any driver can use it. Universal holder for a variety of cell phone types, including iPhone, iPod and Android phones. You can see all the details on the Universal Car Mount and place an order at this iPad Insight Deals page. 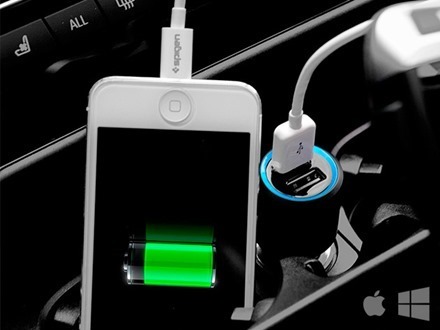 The Kuel Dual Car Charger offers you charging while your on the go. The dual USB ports can charge mobile phones as well as tablets, as long as you have a USB powered device, you can get your charge on. Not only can you charge two devices at once but, with two 10W ports, you can charge up to 2X faster than your normal wall charger making sure you get a quick charge when you need it. Dual Ports: Dual 2A (10W) Output capable of charging mobile phones and tablets. Built-in charging circuitry that protects your Apple or Android device from damage. Blue LED power indicator for a sleek look. Perfect for multiple devices to charge at once. Compatible with all Apple iPhones and All Android devices, including iPhone, iPad, Galaxy Note, Galaxy and more. Check out this iPad Insight Deals page for more details and to place an order. Today’s featured iPad Insight deal is a sweet one if you’re looking to get to know your Mac better and become a Mac master. It features 8 video courses from the popular Udemy online learning academy and others. These courses are normally valued at $408. With is deal you get them for just $29 – 92% off. The video courses in the bundle include Mac Clarity – Master Your Mac, Productivity for Mac Users, One on One Apple Personal Training, Mastering Keynote Presentations, Become a Rocker with GarageBand, and Clean & Organize Your Mac in Under 2 Hours. Sometimes you just feel like you’re spending to much time doing the simple things. That is exactly what this course will change. 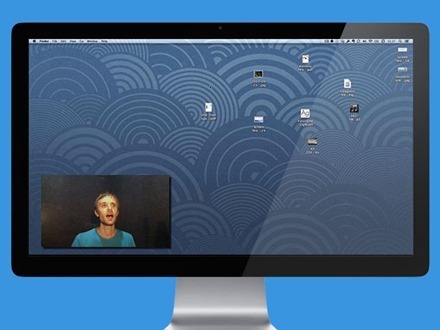 Now you can learn the tools and shortcuts to 10x your Mac productivity. These productivity hacks will allow you to write faster, blaze through email, use Microsoft Office at 5x the speed and get more of the normal things done in a much faster timeframe. This course will help you reclaim your valuable time and be more productive for the rest of your computing life. Even if you have grown up with computers, this course will teach you to use your Mac like a PRO. You can check out all the details and grab this bundle deal at this iPad Insight Deals page. Today’s high-flying (cough, sorry) featured iPad Insight Deal is this very cool looking SmartPlane, Smartphone Controlled Gadget Airplane. It can actually be controlled by an iPad, an iPhone, and a number of mobile devices. It’s on offer right now at 28% off – $49..99, down from standard price of $70. The SmartPlane is ultra light and with its slow flying speed, it is designed specifically for indoor areas such as hallways, large living rooms or spacious meeting rooms. Even outside in calm conditions, there are no limits to the fun of flying! 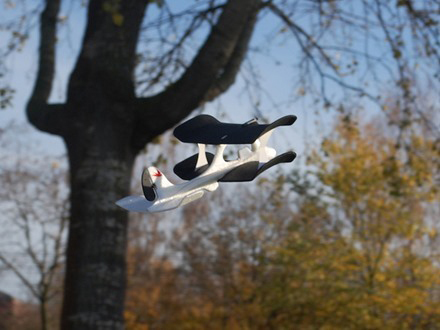 As the pilot, you control the SmartPlane intuitively with your mobile device. The SmartPlane responds to the hand movements of the pilot in realtime. It’s so simple you only need one hand to control it. Flying always seems to be a fascination of man and now you can take to the skies with a exciting and fun new toy. SmartPlane is not just a dumb toy, it understands your every command by analyzing the situation and making slight adjustments to keep your flight smooth. If your plane does take on some turbulence, you won’t have to worry about crashing. Its durable EPPmaterial flexes and moves so crashing is just an afterthought. Its bluetooth wireless technology lets you fly longer distances and for a longer time, giving you a true flying experience. No more gliding and crashing! It also has quick touch and go pairing so you can play whenever you need. No long pairing sequence required. Today’s featured iPad Insight Deal is on the MagConnect Seat Bolt Mount – an iPad in the car accessory. It’s on offer for 29% off – at $119.99, down from its standard price of $170. 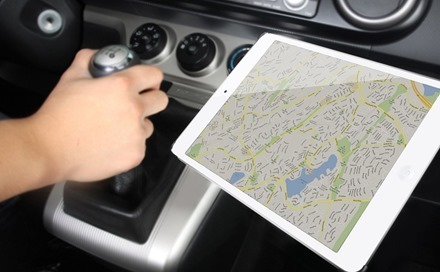 The MagConnect Seat Bolt Mount will keep your iPad in the best position for easy access in your car. It can be adjusted to your preferred position, and folds away when not in use. For those who use mobile apps to navigate while on-the-go, a Seat Bolt mount is the best tool to keep your iPad in view and keep you in the game and on track while driving. MagConnect mounts are built of high-quality carbon fiber arms. This advanced material is surprisingly lightweight yet incredibly strong. The powerful combination of carbon fiber with carefully designed joints produces mounts that are both easy to maneuver and sturdy to use. The mount attaches easily to your car’s existing hardware and is compatible with a wide rage of makes and models. This one is specifically for the iPad 2,3, and 4 – though there’s also a model available for the iPad Air and iPad mini. You can see more detail and place an order for the MagConnect Seat Bolt Mount at this iPad Insight Deals page. This takes singing in the shower to the next level. 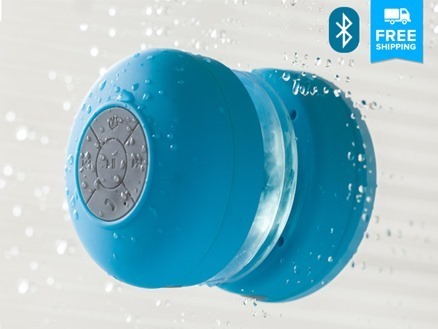 Get your tunes blasting and make your shower time an even better part of your day. The speaker is water-resistant and features a handy suction cup that allows you to secure it to the shower wall. Its user-friendly design lets you control it with ease with play/pause and forward and rewind buttons in back. The speaker comes with everything you need to enjoy it right away and it features a built-in rechargeable battery so you don’t have to worry about running for new batteries. Use it in the shower or even at the pool. For your added convenience this super sleek gadget is Siri compatible so you can make hands-free calls from anywhere. 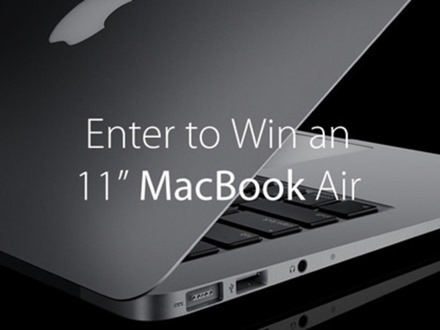 Win An 11″ MacBook Air! Buy our NYOP Summer Blockbuster Mac Bundle and receive 5 EXTRA entries! After entering your email address above, share on Twitter and Facebook for additional entries. The more your friends and followers enter, the more entries you receive. Good Luck! Check out this iPad Insight Deals page to get your entries in for a chance to win that MacBook Air.